If you grind your teeth at night, you may be setting yourself up for some potentially serious problems with your teeth and even your jaw. This habit can cause teeth to deteriorate more quickly and even affect your smile and personal appearance. But you are not alone. Millions of Americans suffer from grinding of the teeth. And there is a solution! It’s called a night guard, or occlusal guard. If things like cold or hot drinks feel painful in your mouth, it could be the sign of teeth grinding. When you grind your teeth, it tends to wear down the protective enamel and exposes nerves or more sensitive parts of your teeth. 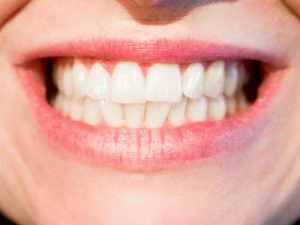 Those who suffer from teeth grinding can have teeth that are worn down, making them appear all the same length. Healthy teeth are actually different lengths and have a layer of enamel protecting them. This may be hard to see on your own, but a regular visit to your Longmeadow dental professionals can detect the early signs of fractures or cracks that may indicate the habit of teeth grinding. If you suffer from issues such as frequent headaches, migraines, or even soreness in your facial muscles or possibly shoulders, particularly in the morning, you may be experiencing teeth grinding at night. The first step to determining if teeth grinding may be negatively affecting you and your lifestyle is to make an appointment with your Longmeadow Family Dental Care professionals. We’ll examine your teeth and if needed, can fit you for an occlusal, or dental guard, to help prevent further damage and discomfort.